I live in an area in Berlin that is constantly being underestimated, even by myself. When you arrive at Ostkreuz - the closest train station - and you walk toward the Spree river you feel like wandering through an industrial park... 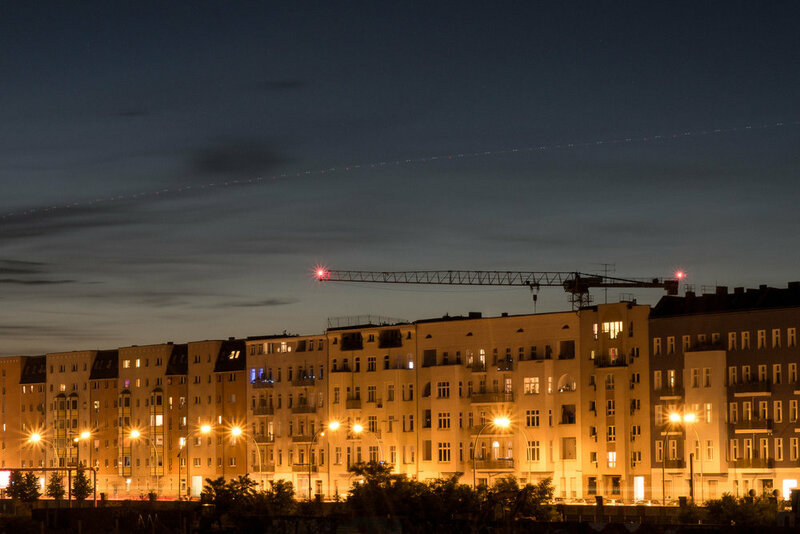 It's true that it's not the nicest looking neighbourhood as there are no cafés, bars and no little stores or galleries like those you come across in every other well-known area in Berlin. My area is more known for its clubs and open air venues during summer. Over the 6 years I have been living here I learned to value the things that the area has to offer, for example peninsula Alt-Stralau and Treptower park. One of my favourite places is the bridge called Elsenbruecke which connects Friedrichshain to Treptow/Kreuzberg. The view from the bridge is pretty unique and beautiful. You see the TV tower, Molecule Man and the Oberbaumbruecke as well as the office buildings of Universal Music and other media companies along the east banks of the Spree. I've been trying to get some photos of fireworks that take place almost every weekend during summer time and that you can see from the bridge. Yesterday, I finally got lucky and took my very first firework photos which I wanna share with you along with some other night shots I took on the bridge at an earlier time. Enjoy and let me know what you think. For more photos follow me on Facebook.